Is it just me, or are there an awful lot of steps when it comes to skincare? It's no longer just a question of cleanse, tone, moisturise. There's exfoliating, face masks, deep cleansers... The list goes on. Surely, you're bound to miss something out somewhere? Well, I have been missing a step out. Until recently, I'd never ever used facial oil, just because it had never really occurred to me to do so. I didn't really consider it an important step, and if I'm being completely honest, I didn't really like the idea of using it. Surely putting oil on my face would make my skin feel gross? When the lovely people at Amelia Moss contacted me asking if I would review one of their facial oils, I jumped at the opportunity, but at the same time I couldn't help but be a little bit concerned that my fears about facial oils would be confirmed. I don't think I could have been more giddy if I tried when the package came to the door! 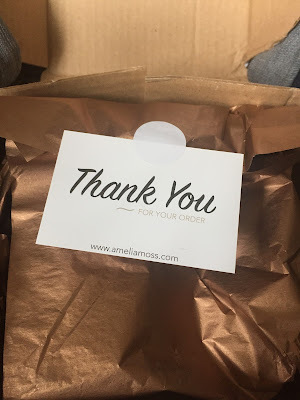 The packaging that the products came wrapped up in was just adorable, in beautiful gold paper and they'd even written my name on the boxes, which just gave it a lovely personal touch. The bottles themselves are super simple, super sleek and super cute, just the perfect size to pop in a travel bag to take away with you, obviously perfect for this time of year! 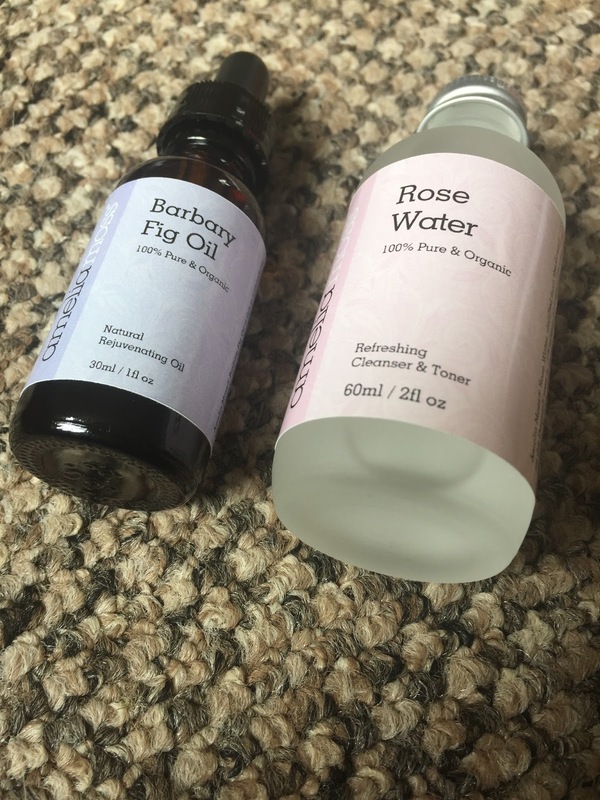 As well as the facial oil, I was so grateful to have received a bottle of the Rose Water. This stuff is wonderful. 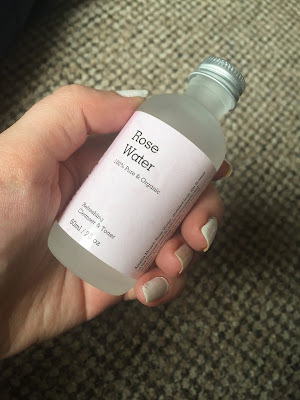 It's a really versatile product, it can be used as a cleanser or a toner, and I've even used it just to freshen my skin halfway through the day if it's feeling a little tight and tired. It smells incredible and feels so refreshing and hydrating on the skin right from the second you apply it. Here we go... Onto the facial oil. I was pretty nervous about trying it, and I wasn't even really sure how to use it, to the point where I tweeted asking when I'm supposed to use it (much to the dismay of many of my friends from the blogging community. I'm telling you, the disappointment in me was real!) Eventually I managed to work out that it was best to use it between toning and moisturising... Just in case anyone else was wondering! 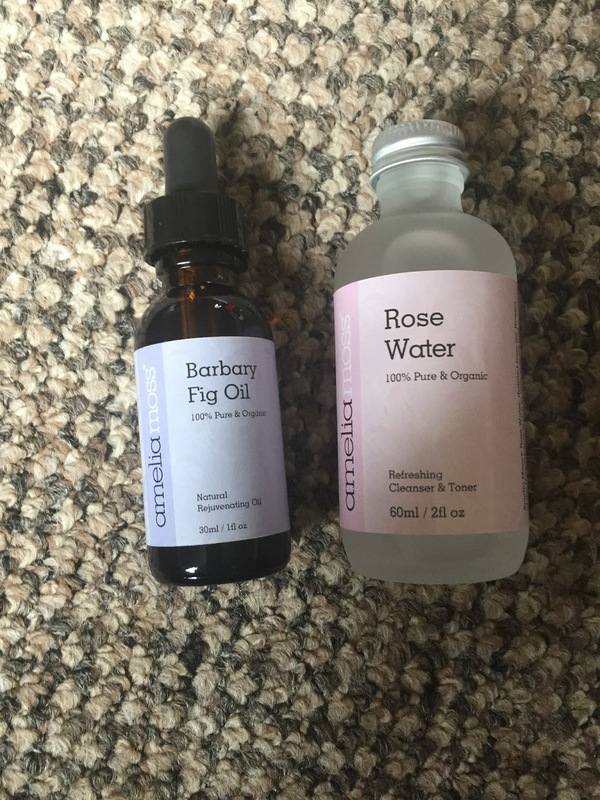 What I love about these facial oils is that a tiny bit goes a long way. Just a couple of drops is plenty for your face and neck and the effects are amazing. 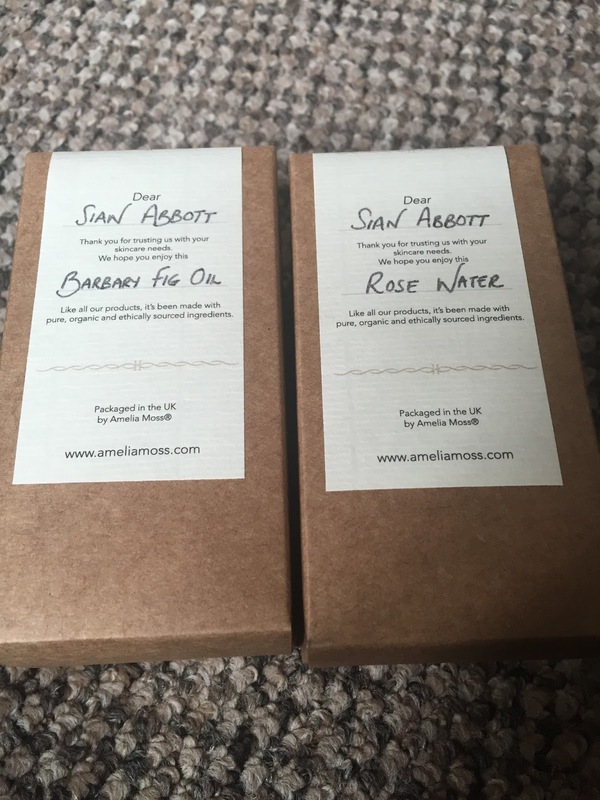 I was sent the Barbary Fig oil, which is really light on the skin and made my face feel really hydrated and nourished. After using it regularly for a couple of weeks, my skin was so much softer, but without the heaviness or stickiness that can come from some moisturisers. And, it turns out my concerns about the oil making my skin feel gross were completely unnecessary. 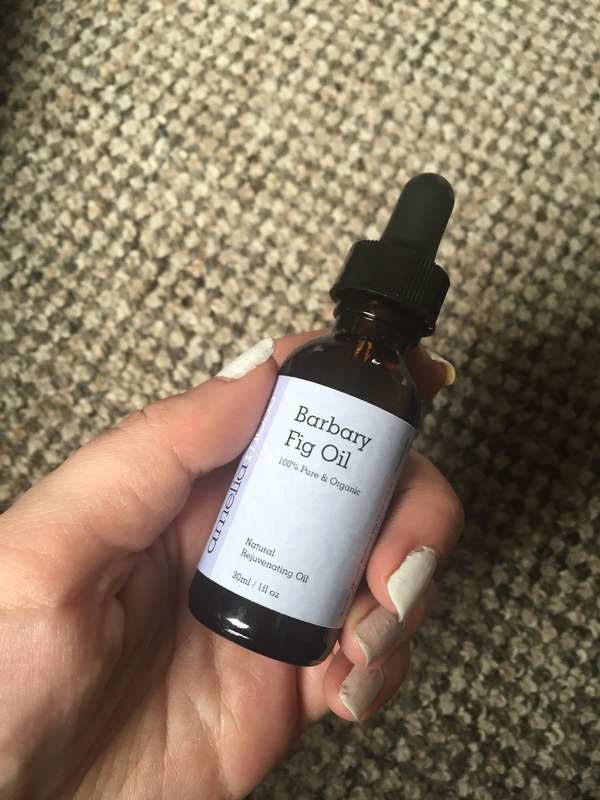 Using the Barbary Fig Oil, I didn't feel like my skin was oily at all, just nourished and rejuvenated. A big part of what makes Amelia Moss products stand out for me is that they are all 100% organic and natural, so you know that it's full of good stuff which is perfect for sensitive skin like mine. Thank you Amelia Moss, you have well and truly educated me on how wonderful facial oils can be. I'll definitely make sure I never miss that part of my skincare routine again! Have you ever tried facial oils before? What did you think?